Sweet Pea Afternoon Tea : Jurassic World..Again! I unexpectedly had the evening off on Tuesday night, so Ryan and I decided to go to the movies. I had really been wanting to see Jurassic World again, so it didn't take any time at all to decide what we were going to see. Oh. My. Goodness! 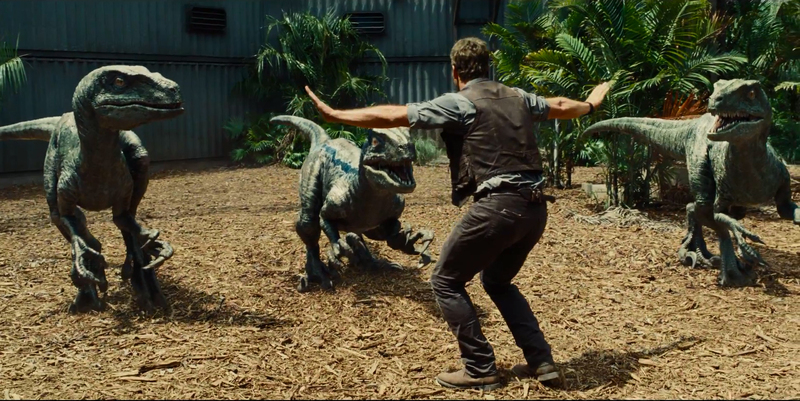 I can't believe how great Jurassic World is! Even though we had already seen it, I was no less entertained the second time around! The movie is incredibly exciting from start to finish and if you get a chance, I highly recommend seeing it on the big screen while you still can! 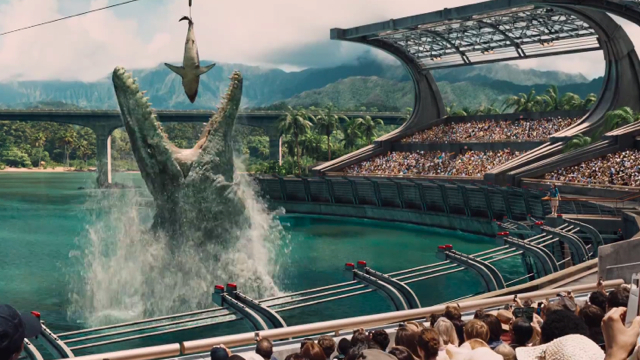 Watching Jurassic World (like the other three films in the series) is a bit like riding a roller coaster. It's an incredibly exciting and terrifying adventure, with plenty of action, bits of comedy, and a hint of romance. I won't spoil it by saying when, but there was even a part in Jurassic World where I felt my eyes tear up with sadness. 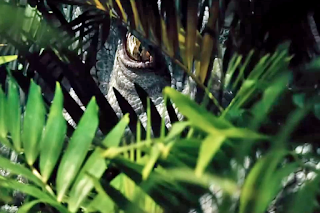 Much like its cinematic predecessors, the importance of humility and respect for nature is at the heart of Jurassic World, yet it never seems to come off as preachy or condescending. As I said before, when I saw the movie for the first time in June, Jurassic World is an incredibly entertaining film, which manages to stand alone, while still staying true to the cinematic style of the previous three films. It is by far, one of the most entertaining movies I've seen in a very long time! Thank you Sam! I know you also really enjoyed the film when we saw it in June! So many films are poorly edited and drone on too long, leaving me bored throughout the last half hour. Not so with " Jurassic Park" . It kept me on the edge of my seat right til the end. It is a very exciting film, actually worth the price of admission.